"The chair! Hit 'em with the chair!!!!" So that's where those charity donations go. It all makes so much sense now. What you gonna do brother? when panda-mania runs wild on you!!! i guess it's wildlife wrestling fed. Shouldn't that be wwfp? world wide foundation of pandas? Vince McMahon is really running out of ideas. Ling-lee did his all-fours pose, thinking himself well the victor. Woe is he. 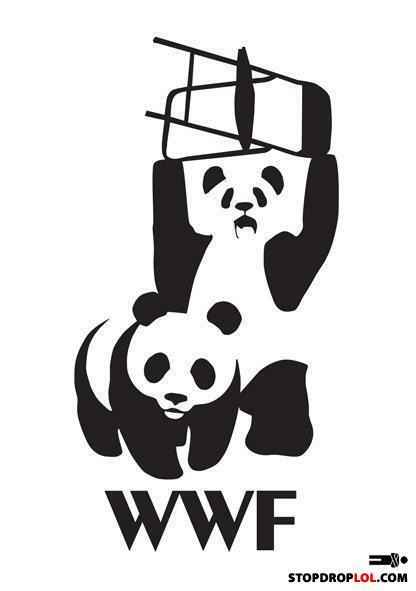 WWF? I think you meant WTF. You want some!, GET SOME!